This course introduces the basics about interprofessional education and collaborative practice (IPECP). The course is offered in a self-paced online format with a competency-based approach. Each lesson builds on previous content. In addition to basic IPECP terminology, participants will gain an understanding based on the four Core Competencies for Interprofessional Collaborative Practice, the basics of effective health care teamwork and how to lead an interprofessional team. You’ll learn from instructors who are experts both in IPECP and in online teaching. In addition, the course offers a flexible learning approach and can be completed anywhere, anytime. The course offers eight (8) CMEs through Creighton University’s Health Sciences Continuing Education, which has joint accreditation from the Accreditation Council for Continuing Medical Education (ACCME), the Accreditation Council for Pharmacy Education (ACPE) and the American Nurses Credentialing Center (ANCC), the first university to receive this accreditation. The course provides an overview of business analytics as well as introduces and reinforces the concepts common to all modern statistical methods. Coverage includes sampling, confidence, hypothesis testing, and simple linear regression. This session will provide educators with the essential tools and fundamental concepts of service-learning, a teaching method that integrates service and reflection into student learning. Research supports service-learning as a highly effective approach for student engagement that leads to academic, civic, and personal benefits. The Creighton University Design Thinking program combines the techniques of empathy, defining the challenge, ideation, prototyping, and testing used by experts in the field with those used by Creighton alumni in real-world examples to help you approach your own challenges at work and home. The lessons in this program lead you through the design thinking steps and enable you not only to participate in design thinking activities, but lead them as well. 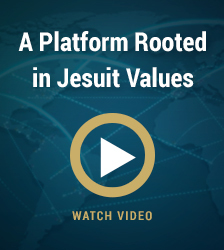 This program follows the Jesuit values of empathy, diversity and positive social change. Learn how you can make impactful contributions as you approach a variety of challenges! This course studies behavior modification theories and techniques that can be applied to affect human behavior. Students explore methods, terminology and procedures used, as well as the development and history of behavior modification. Students evaluate and research papers that are based on behavior modification practices and procedures. 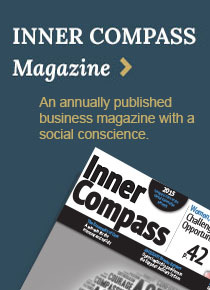 An emphasis is placed on effective interpersonal communication with others that can lead to positive health outcomes. Every time two or more people get together to discuss anything in the workplace, an opportunity exists to either build relationships or damage them. So when it comes to discussions that require absolute clarity (feedback) and/or potentially sensitive subjects (criticism), it’s important that you are skilled enough to handle whatever comes your way, regardless of which side of the table you happen to be sitting at. This course helps you handle yourself professionally and effectively in every situation you face. Regardless of your title, there are basically four distinct roles you play when it comes to feedback and criticism, and each requires a different effort and strategy from you. Rapidly shifting local and national demographics, as well as continued globalization, mean that organizations must embrace diversity and inclusion not only as a means to enhance business performance but also as an enabler of innovation and collaboration. Participants in this interactive workshop will gain insight and skills for engaging employees in creating a safe and collaborative work environment in order to leverage diversity and inclusion as a competitive advantage. The entire process of developing a grant proposal holds a unique skill set including every task from finding an appropriate request for proposals to developing the project, writing the proposal, and evaluating the outcomes (Gitlin & Lyons, 2008; Beitz & Bliss, 2005). With the grant process becoming more competitive and funding less available, it is important to understand the need to be creative in researching, networking, and program development to ensure finding the fulfillment between the funder’s priorities and the proposed services (Doll, 2010). This session will provide a practical and engaged approach to grant writing. Throughout the course, participants will bring their own ideas and begin to develop how their ideas would fit into a grant proposal. Sample grants will be provided along with discussion of the lessons learned from an occupational therapist that has been through the process of searching, writing and implementing local and federal funding. Leaders must understand the big picture and basics of finance. From expenses such as salaries, plant and equipment to income such as payments and assorted income streams, this course helps leaders determine if the operation is on or off track. When expenses exceed revenue, whether you’re organization is for profit or non-profit, you can’t keep the lights on!